Friday, March 31, 1865.City Point, VA.
Lincoln is depressed. Knows Gen. Grant expects to make general attack on Petersburg, Va. with great loss of life. 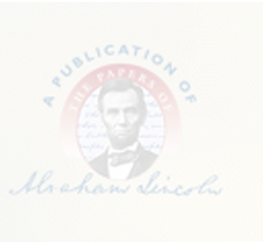 William H. Crook, "Lincoln's Last Day: New Facts Now Told for the First Time. Compiled and written down by Margarita S. Gerry," Harper's Monthly Magazine 115 (September 1907):519. Lincoln informs Sec. Stanton : "At 12:30 p.m. to-day Gen. Grant telegraphed me as follows: There has been much hard fighting this morning. The enemy drove our left from near Dabney's house back well toward the Boydton plank road. . . . Later he telegraphed again as follows: Our troops, after being driven back on the Boydton plank road, turned and drove the enemy in turn and took the White Oak road, . . . There have been four flags captured to-day. . . . I infer that he moved his headquarters about one mile since he sent the first of the two dispatches." Abraham Lincoln to Edwin M. Stanton, 31 March 1865, CW, 8:378-79. President is urged by Stanton to remain few days more at front. "A pause by the army now would do harm; if you are on the ground there will be no pause." Official Records—Armies 1, XLVI, pt. 3, 332.